Walnut Creek, Calif. (March 12, 2019) – The Board of HomeAid Northern California, one of the region's top providers of housing for the homeless, is pleased to announce the election of building industry veteran Nancy Keenan, Dahlin Group Architecture Planning (DAHLIN) President as Chairperson of the Board. Keenan will lead the HomeAid Board and Executive Director in identifying goals and objectives, setting priorities, and helping to ensure sound and compliant governance of the organization. Matt Beinke, Blackhawk Services Vice President and HomeAid Board Chairman for the past seven years stated, "Nancy's wealth of builder experience and four years of service on HomeAid's Board make her an ideal fit for this leadership position. We're thrilled and we know she'll bring valuable insight into guiding HomeAid Northern California." 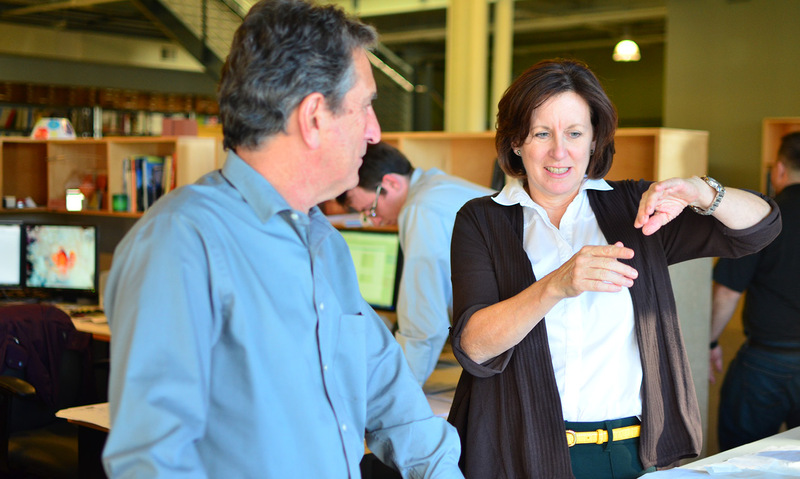 As President of DAHLIN, Nancy leads strategic and executive direction for the architectural firm. DAHLIN is committed to collaborating with the development community to implement innovative housing solutions that contribute to housing affordability and housing the homeless. Nancy is also guiding the leadership transition of a diverse firm to an employee-owned company—increasing transparency in business operations with an emphasis on continuous professional development. "I am honored to have the opportunity to help shape such a wonderful organization and to take the HomeAid charitable activities to the next level," said Keenan. "With the aid of generous builders and trade partners, HomeAid is able to leverage the dollars of shelter housing providers and make a difference in the lives of homeless individuals and families in our communities." HomeAid Northern California has completed 45 shelter projects serving over 8,000 homeless through the construction of over $20 million worth of real estate for 27 homeless service providers and provided over $10 million in donations to these projects. HomeAid's recent projects include the construction of Oma Village with Homeward Bound for formerly homeless working families and the construction of Claire's House for trafficked girls. For more information about HomeAid, visit www.homeaidnc.org. HomeAid Northern California is one of 18 chapters of HomeAid America, a leading national non-profit provider of housing for homeless families and individuals, which has sheltered over 300,000 people in its 30 year history. Among the largest architectural firms in the San Francisco Bay Area, Dahlin Group Architecture Planning is a full-service architecture and planning firm with proven expertise in residential architecture, community and recreational facilities, commercial buildings, urban design and custom homes. Noted for its command of site-specific housing types, the firm is widely recognized for sustainable planning and design and diverse urban and suburban development achievements. Its commitment to green and sustainable land uses and building designs is underscored by TOD, redevelopment and affordable projects, and by expanding LEED accreditation for principals and senior architects/planners. DAHLIN headquarters are in Pleasanton; the firm maintains offices in Oakland, Irvine and San Diego, California; Bellevue, Washington; and in Beijing and Shanghai, China.